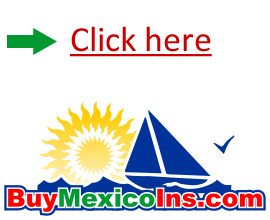 WHY BUY MEXICO INSURANCE FROM US? We personally own property in Puerto Penasco, and we enjoy going to Rocky Point as often as we can. So why purchase Mexican Auto Insurance from anyone else? We've sold thousands of policies to sun-loving people just like you. We know what we're doing, and you can buy Mexico Insurance from the most trusted Mexico insurance carrier in the business. 1. Do not leave the scene. 2. Call the 800 # for your company. 3. Do not leave the vehicle unattended. 4. Complete an accident report. 5. Do not make personal agreements. 6. Do not offer or give money to anyone. 7. Do not leave Mexico without reporting! Due to a radical change to Mexico Liability Law, we now recommend that all our customers purchase a minimum of $300,000 in Liability coverage, and seriously consider the $500,000 limit! In the past, the liability damages imposed on an at-fault driver who caused a negligent fatality in Mexico were capped at 730 days multiplied by the local Mexico Minimum Wage (approximately $ 50,000 total damages in most Mexican States). Effective immediately, that limit has been increased by the Mexican Government to 5,000 days multiplied by the local Mexico minimum wage (up to approximately $ 300,000 US Dollars total damages, depending on the Mexican State). We strongly suggest that you now use the same level of care regarding Mexico Liability limits that you would use when purchasing a US or Canadian auto liability policy. The radical change to Mexico Liability law means that claims for Death Liability in Mexico will now be similar to the damages that are often imposed by courts in the US and Canada in similar cases. Insurance Agents: contact me if you would like to sell Mexico Insurance. Cover photo,courtesy Nick Bastian on Flickr. CC Licensed. Website by Ken.